Shantel Johnson is the Huntsman School of Business Building & Venue Coordinator, she is responsible for event space reservations and contact for building issues, where her ability to keep things organized and on task are a huge asset. 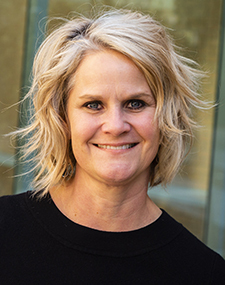 Shantel comes to USU from EK Ekcessories in Nibley, UT with 20+ years of experience in office management and couldn’t be happier with her decision to pursue a career at Utah State University. Shantel has three children and in her spare time when she isn’t watching their baseball and soccer games with her husband of 27 years she enjoys spending time with her family and friends, traveling, road biking, and working in her yard.